Add the ultimate finishing touch to your ensemble with the Lotus Thorney handbag in pink metallic. 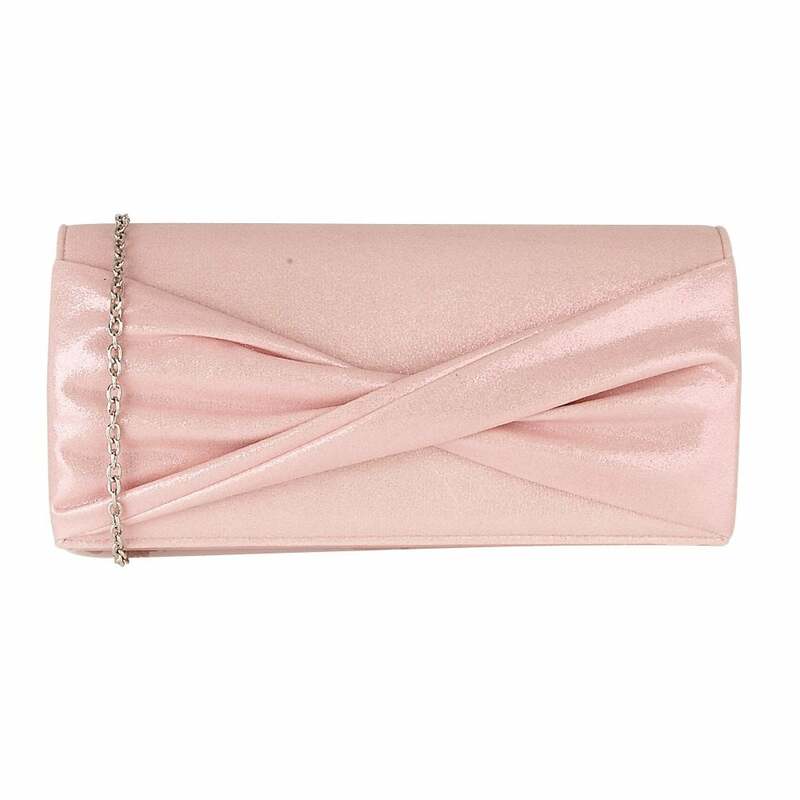 This striking Lotus clutch bag has been designed to coordinate with the Lotus Leandra court shoe, as such it encapsulates pleat detailing on the front panel. This Lotus metallic clutch bag also boasts a detachable chain shoulder strap and features a magnetic snap closure.